This amused me no end. I clicked through to the “Stocking Filler” section of the Lego shop. And found one of those annoying “boys would like these stereotypical items and girls would like these stereotypical items” splits. Except in this case it seems girls and boys both like Lego. “Well, duh!” is about the most coherent analysis I can come up with. 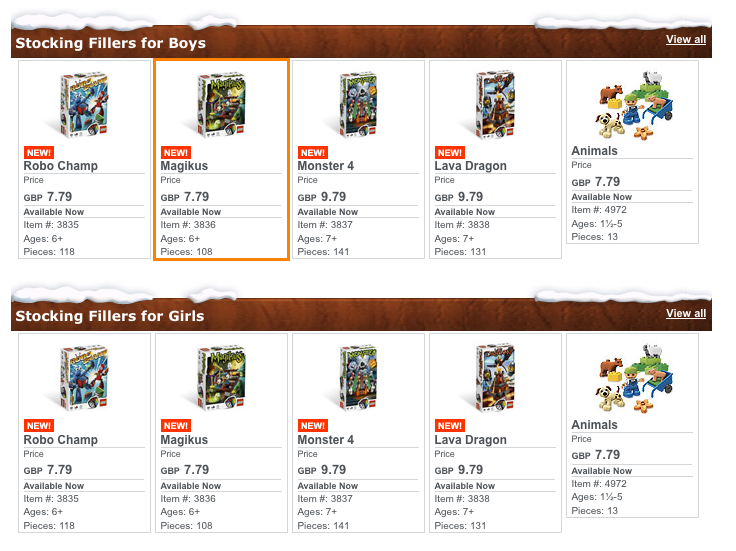 To be fair once you clicked through to the gender biased sections they made it clear that boys must like Lego more than girls (not in this house) and that girls probably like pink stuff (again, not in this house) but the initial “let’s all get Lego animals and play games!” bit is pretty good all the same. These are ace, I want one! And a copy of the Pandora’s Box game too… and if you happen to have some free time lying about then could you send that along as well? I don’t ask for much…. I liked the all edges brownie baking pan when I saw it, but this lasagne one is fabulous. Mmmmmm, baked cheesy crusty bits. Pity they don’t seem to sell them in the UK at all. 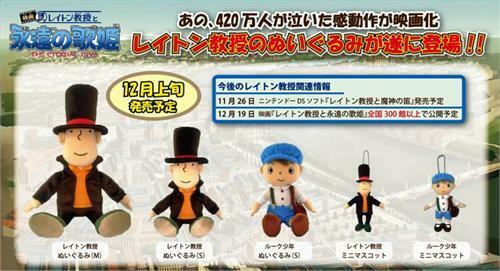 Somebody import them please…. I loved this. The writing is fabulous – full of sentences that make you sit back and marvel at their ingenuity and the images that they conjure up. The chapters of the book flip between four different viewpoints. Each is set in a different place and time stays tightly with a single character and each is very individually written with no chance of a reader muddling up the writing – the headings announcing which character was in this chapter were totally superfluous. The distinctive voices were in first, third and even second person. Second person can be really tedious to read but here it was my favourite part of the book as it seemed to be rationed out just nicely. The settings varied from 1960s to the present day and included London, Italy and Cumbria. On the whole the book was well varied but early in the story I found the changes difficult to keep track of – though it wasn’t long before I was hooked. This is definitely a literary novel and not one driven by plot devices and I enjoyed the fact that the links between the four strands of the story weren’t pointed out time and time again. I liked coming across small pieces of the jigsaw in the prose and I’m sure that there were plenty of details that I missed. The book takes in, as you’d expect from the title, death, art and dying artists. Which might make it sound pretty bleak but it’s a book full of light, full of interesting snippets of life and well worth a read. Purchased on 4th October 2009.